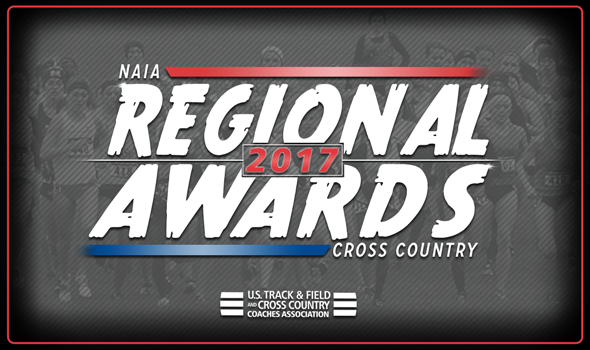 NEW ORLEANS – Regional Athletes and Coaches of the Year for the 2017 NAIA Cross Country season were announced Monday by the U.S. Track & Field and Cross Country Coaches Association (USTFCCCA), as voted on by member coaches from that division. Information on each of those winners can be found below. De Young, a sophomore from St. John, Indiana, won the Wolverine-Hoosier Conference title this season with a time of 25:09.9. Guzman, a senior from Berwyn, Illinois, captured the Chicagoland Conference title this year, winning with a time of 25:40.1. Kipchumba, a senior from Eldoret, Kenya, picked up the Southern States Conference championship with a time of 25:58.2. Shaw, a sophomore from Ormesby, Middlesbrough, England, posted a time of 24:36.8 to win the Sooner Athletic Conference title. Maszk, a senior from Baker, Oregon, took home the Cascade Conference title with a time of 25:23.8. Winchester, a junior from Middleville, Michigan, was the winner of the Wolverine-Hoosier conference title, finishing in 18:12.5. Willging, a senior from Freeport, Illinois, captured the Chicagoland Conference title with a time of 18:09.5. Kearney, a sophomore out of Wirral, England, took home the Appalachian Conference title with a finish of 17:44.4. Olowora, a senior from Lagos, Nigeria, picked up the Sooner Athletic Conference championships thanks to a finish of 16:58.1. Perkinson, a senior from Roseburg, Oregon, captured the Cascade Conference title with a time of 17:47.8. Foss, in his 30th year at Indiana Wesleyan, led his team to the Crossroads Conference title with 32 points. Barker, in his sixth year at St. Francis (Ill.), led his team to the Chicagoland Conference title where they scored 33 points. Hegstrom, in his fifth year at William Carey (Miss. ), led his team to the Southern States Conference title and scored just 20 points in the process. Benton, in his second year at Saint Mary (Kan.), led his team to the Kansas Collegiate Conference title with 21 points. Gatlin, in his 14th year at Southern Oregon, led his team to the Cascade Conference title with 42 points. Wojciakowski, in his 20th year at Aquinas (Mich.), led his team to the Wolverine-Hoosier Conference title with 38 points. Barker, in his sixth year at St. Francis (Ill.), led his team to the Chicagoland Conference title with 50 points. Layne, in his 14th year at Milligan (Tenn.), led his team to the Appalachian Conference title with 24 points. Aguero, in his second year at Oklahoma City, led his team to the Sooner Athletic Conference title with 23 points. Kegg, in his fifth year at Oregon Tech, led his team to the Cascade Conference title with 53 points.